Hemi engine, this legendary engine continues in the modern Dodge Hemi, but the 426 Hemi was the original Hemi engine that really turned the auto racing world onto what would become the ultimate Mopar power plant. Originally, there was the Chrysler Hemi, in several different sizes, the most popular of which was the 392, but in the mid 1960s, it was the Dodge Hemi and Plymouth 426 Hemi that started winning on the streets and race tracks across America. The original 426 Hemi engine still carries on to this day, and we are happy to provide a large selection of top quality 426 Hemi performance parts to die hard Hemi owners. In addition to the 426 Hemi, there are many stroker Hemi engines now, of even larger displacements. We offer Hemi stroker cranks, Hemi pistons, Hemi connecting rods and many other parts for your 426 whether you are restoring a Hemi powered muscle car, or an all out race Hemi. There are Mopar Performance Hemi parts listed on this page as well as Hemi parts from other manufacturers. All of the Mopar Performance part numbers start with a "P", other manufacturers are noted by the letters preceding the part number. High performance KB hypereutectic 426 Hemi pistons offer a significant performance improvement for your engine, at a very affordable price. We have these piston sets available in a wide range of sizes including standard bore and 6 different oversizes. If you are rebuilding a Chrysler 426 Hemi engine and are looking for improved performance, without the higher cost of forged pistons, KB performance pistons are an excellent alternative for many street, muscle car restoration, cruising and street / strip applications. 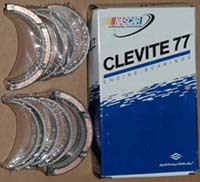 The below listed Hemi piston sets are all Diamond Racing Products brand forged 426 Hemi piston sets. Available in street Hemi and race Hemi type compression ratios. All of the Diamond 426 Hemi Pistons use 1/16", 1/16", 3/16" ring sets. All sets listed are for use with the stock rod length of 6.860" and stock pin size of 1.031". Compression ratios listed figured based on a 168cc cylinder head volume. dia 52500 4.250" std bore size, stock 3.750" stroke, 9.5-1 comp. dia 52502 4.280" .030" over size, stock 3.750" stroke, 9.5-1 comp. dia 52505 4.310" .060" over size, stock 3.750" stroke, 9.7-1 comp. dia 52520 4.250" std bore size, 4.150" long stroke, 9.6-1 comp. dia 52522 4.280" .030" over bore size, 4.150" long stroke, 9.6-1 comp. dia 52525 4.310" .060" over bore size, 4.150" long stroke, 9.8-1 comp. dia 52550 4.280" .030 over bore size, 3.750" stock stroke, 12.6-1 comp. dia 52552 4.310" .060 over bore size, 3.750" stock stroke, 12.6-1 comp. dia 52540 4.280" .030 over bore size, 4.150" long stroke, 12.6-1 comp. dia 52542 4.310" .060 over bore size, 4.150" long stroke, 12.7-1 comp. dia 52560 4.500" bore size, 3.750" stroke, stock stroke, 10.5-1 comp. dia 52565 4.500" bore size, 4.150" stroke, long stroke, 10.5-1 comp. The high horsepower and torque output of the Hemi engine requires a strong connecting rod to transfer the power and keep things running smoothly. We offer 426 Hemi rods from K1 Technologies, Manley, Eagle and more. All rods listed below are stock 426 Hemi length of 6.860" long unless otherwise noted. All prices are for a set of 8 rods. k1 DH6860AUSB8-S K1 Tech. 4340 billet h beam con.rod hemi bushed, ARP 8740 bolt,1.030" pin, stock 426 Hemi length 6.860"
k1 DH6860AUSB8-A K1 Tech 4340 billet h beam con.rod hemi bushed, ARP2000 bolt,1.030" pin, stock 426 Hemi length 6.860"
k1 DH6860AURB8-S K1 Tech 4340 billet h beam con.rod hemi bushed, ARP 8740 bolt, .990" pin, stock 426 Hemi length 6.860"
k1 DH6860AURB8-A K1 Tech 4340 billet h beam con.rod hemi bushed, ARP2000 bolt, .990" pin, stock 426 Hemi length 6.860"
k1 DH6860APRB8-A K1 Tech 4340 billet h beam con.rod hemi bushed, ARP2000 bolt, w/big block chevy rod journal size & .990 pin, stock 426 Hemi length 6.860"
k1 426-3750JE6F K1 Tech. 4340 forged steel 3.750" stock Hemi stroke, 8 bolt flange, use with 6.760" or longer rods, stock rod journal size 2.375"
K1 Tech. 4340 forged steel 4.150" stroker crank, 8 bolt flange, use with 6.760" or longer rods, stock rod journal size 2.375"
k1 426-4250JE6F K1 Tech. 4340 forged steel 4.250" stroker crank, 8 bolt flange, use with 6.760" or longer rods, stock rod journal size 2.375"
k1 426-4375JE6F K1 Tech. 4340 forged steel 4.375" stroker crank, 8 bolt flange, use with 6.760" or longer rods, stock rod journal size 2.375"
k1 426-4500JE6F K1 Tech. 4340 forged steel 4.500" stroker crank, 8 bolt flange, use with 6.760" or longer rods, stock rod journal size 2.375"
If you do not find the Hemi parts you are looking for, please contact us for assistance. You can also try the below search tool. We use it and have had success finding Hemi parts with it. Includes all necessary dowels,plugs,bushings, keys as well as core plugs rear cam bearing plug,drive gear bushing,and head dowels. Includes all gaskets needed for complete engine tear down.includes oil pan,cylinder head, valve cover,chain case cover,intake manifold and oil pump gaskets. Round, press in engine block freeze plugs, fits standard or Mopar performance parts race cast iron blocks. Universal 6 bolt front pulley mount pattern. 7 1/4" O.D. for internally balanced engines. 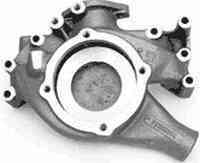 SFI approved as required in most NHRA drag racing classes, custom pulleys may be required due to increased thickness. Kit includes magna-fluxed sprockets and double roller timing chain. Has three machined key ways in crankshaft sprocket to adjust cam timing. Kit includes magna-fluxed sprockets and roller timing chains. Front timing chain covers fit your needs, package includes cover,seal and gasket. Engine dress up projects aren't complete without chrome bolts. Matched pair with guide bar. 2.25" intake and 1.94" exhaust valve machining and 170cc combustion chamber. valve seats and guide inserts. Mopar Performance takes another giant step to help the restoration crowd with these O.E. black wrinkle 426 Hemi valve covers. Original equipment for all 1966-71 426 Hemi engines, these stamped steel, black wrinkle covers have the spark plug wire brackets and rubber coated alternator wiring looms. The set includes left and right valve covers, chrome oil fill cap, grommets for PCV and breather, and hold-down studs and nuts. Painted black wrinkle and finned with Hemi logo cast in. for single plug cylinder head applications. Uses street Hemi valve cover rail. Gaskets included. Uses oil cap # P5249949 which is sold separately. black painted Original equipment for all 1966-1971 426 hemi engines, these stamped steel black wrinkle covers have the spark plug wire brackets and rubber coated alternator wiring looms.set includes left and right valve covers,chrome breather cap, metal pcv valve, and chrome pcv cap, and hold down studs and nuts. P5249947 stud and nut kit for cast hemi valve covers long. A complete set of 20 studs and 20 nuts to fit 1966-71 426 hemi heads to retain factory valve covers. P4529897 426 hemi valve cover stud & nut pkg. P5007218 Hemi pro stock valve cover seal pkg. They are designed to fit all production style Hemi valve covers,including Mopar performance parts chrome or black wrinkle covers. kit contains: 1 pcv valve cap, a pcv valve & nut and 1 pcv valve retaining spring. Fits 1964-69 hemi valve covers. Made of 1041 forged steel,fits both the cast iron and aluminum heads. Includes 14 long springs and 2 short springs pkg.is one engine set. P4452827 Hemi rocker spacer spring pkg. This new, aluminum in-line Hemi intake manifold is based on the marine version and is built from the original tooling! Machined to accept Holley carburetors (4452778 rear, 4452779 front), this manifold will fit production 426 Hemi heads, provisions for manifold heat and power brakes, and retains the stock height as the production 1966-71 Street Hemi AFB Intake Manifold. NOTE: Production AFB air cleaner baseplate/lid will need to be changed or modified. Some O.E. and aftermarket linkage components and fuel lines will be needed to complete installation. Rectangle port and fits all hemi 426/472/528 engines.stock exhaust heat location on rear of manifold just like the original dual plane 4bbl production in-line manifold. This aluminum cross ram features rectangle ports and is designed for 4 bbl carbs. Fits Hemi 426/472/528 engines. 426 HEMI INTAKE MANIFOLD BOLT PKG. P4529330 A-990 Cross-Ram Hemi intake manifold screw set, Set of 16 allen screws and washers to attach the race hemi cross ram manifold. Here is a production-style oil pan for 426 Hemi engines that is stamped steel to replicate the 1970-71 E-body pan. The 6-quart pan may also be used on 383/400/440 engines for increased oil capacity. 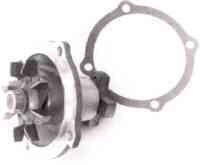 HIGH PERFORMANCE 426 OIL PUMP ASSY. Features hardened tip shaft w/ full radius blend from hex to round and pinned gears. Complete set of chrome bolts for timing cover and water pump. P4349259 278/278dur 62o/lap 495/480 lift mild comp. P5007379 290/301dur 79o/lap 537/543 lift mild comp. P4286775 titanium 10 triple,increase .060"
P90002 426 hemi set of 16 (10.47"&11.45"
P4529561 426 hemi set of 16 (10.47" &11.45"